Do you want to discover a fabulous, talented new author? Do you want to sink your teeth into a gripping, poignant, and rich tale of power, lust, greed, and love? If you have not yet read the Sultana series of novels by author, Lisa J. Yarde, then I encourage you to read this series! 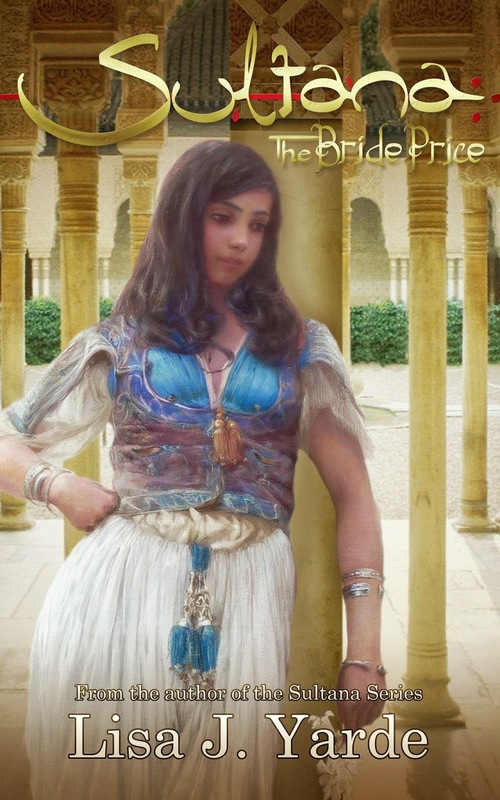 The books are a comprehensive historical journey deep into the heart of medieval Moorish Spain, but more importantly, the books are gripping, powerful, and fascinating revelations into murder, greed, and family conflicts. Incredibly, it is all based on fact. Now, with this fourth book in the series, THE BRIDE PRICE, we are introduced to a new generation in this epic family saga. At the center of the story is a burgeoning romance between Muhammad, the current Sultan of Granada, and his wife, Jazirah, a forced marriage to strengthen family ties. Also returning to the story are the previous Sultana’s Butayna and Maryam whose vitriol continues and threatens to tear Muhammad’s family apart. Love and hate, dark secrets and shocking revelations, all combine to make this story as gripping as the previous books. I have eagerly followed every book in the series. Lisa Yarde is a captivating writer, writing with powerful, lush prose, and recreating the nail-biting, twisted history of a family’s bloodlust and greed for power. Based on years of intense, impeccable historical research, this book, and others in the series, provide readers with a first-hand look at the dangerous life inside the Sultan’s harem in medieval Granada. Her rich writing is sensual, evoking not only sights and smells, but the strong emotions of the characters, real historical personages. I cannot recommend this book and the others in the Sultana series enough. Although each book stands alone, I recommend reading the books in order to get the full impact of this historic family. Truly rich reads that will hold your interest from start to finish. What a lovely review, Mirella. I too love this series of books, the stories of the last Moorish rulers of Spain is fascinating and Lisa captures the essence of the era beautifully.